What Is a DJVU File? Developed by AT&T Labs, a file with the DJVU file extension (a DjVu file, pronounced as déjà vu) is a graphics file format intended for scanned images, kind of like the PDF format, which you're probably more familiar with. Since a DJVU file can contain compressed yet high-quality color images, photographs, text, and drawings, it's used as the format for some eBooks, as well as manuals, newspapers, ancient documents, etc. that have been scanned into a computer. DjVu files can use the .DJVU or the .DJV file extension. The free Sumatra PDF program is probably the quickest and easiest way to open DJVU files. It can also save an open DJVU file to a TXT file for easy reading without any graphics. DjVu.org has a list of some other programs that open DJVU files, like DjVuLibre for Mac and Windows. Okular and Evince are two options for opening DJVU files on Linux. DocsPal is an online DJVU viewer which is useful if you don't want to install a dedicated viewer to your computer. Using an online tool also means that you can open the file much faster, as well as view the file regardless of your operating system. The converter portion of this website can save the uploaded DJVU file to EPS, PS, and a few other formats. DJVU files aren't as widely used as similar formats like PDF, EPUB, MOBI, and other eBook file formats. DjVu2PDF.com and ConvertOnlineFree.com are two online DJVU converter for Windows, Mac, and Linux that provide a quick option to convert DJVU to PDF. Another free online file converter that's great for smaller DJVU files is Zamzar. Just upload the DJVU file to this website to convert it to JPG, BMP, GIF, PNG, TIF, or some other similar image formats. Aside from online DJVU converters, there are, of course, downloadable and installable converters like Calibre. This particular program can convert DJVU to EPUB, MOBI, AZW3, DOCX, PDB, FB2, LRF, and other formats. However, Calibre can convert a DJVU file only if it contains embedded text, like if it was created using OCR software. Image-only DJVU files aren't supported. Another example of a downloadable DJVU converter is one called DjVu Converter, which can convert DJVU to PNG, JPG, EPUB, PDF, and TIFF. With this program, you don't have to convert all the pages if you don't want some of them to be included in the final file. For example, you can choose to convert just pages 10 to 25, or only pages 11 and 14, to essentially cut out every other page. There's also an option to define the image quality/compression rate. Sumatra PDF and DocsPal, mentioned above, can convert DJVU files as well. 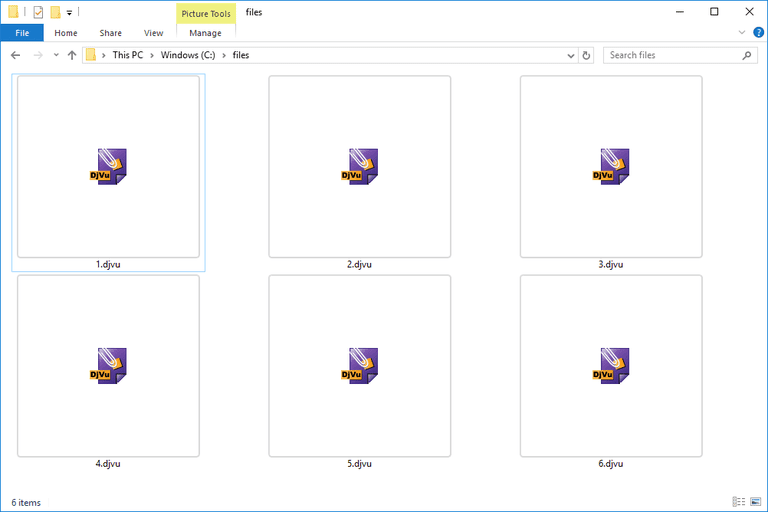 DjVu files are able to separate images into different pieces and compress each of them separately from the other parts, which is how they can be compressed as high as they are but still allow for superior quality images. Since DJVU files can separate images and text into different layers, it means one layer can be used just for holding OCR text, letting you search for and copy text out of the file.